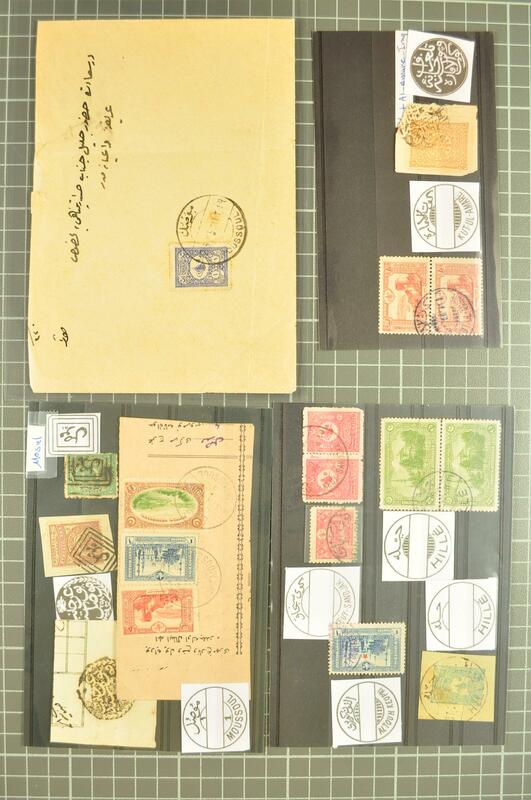 Ottoman Posts 1865/1917c. 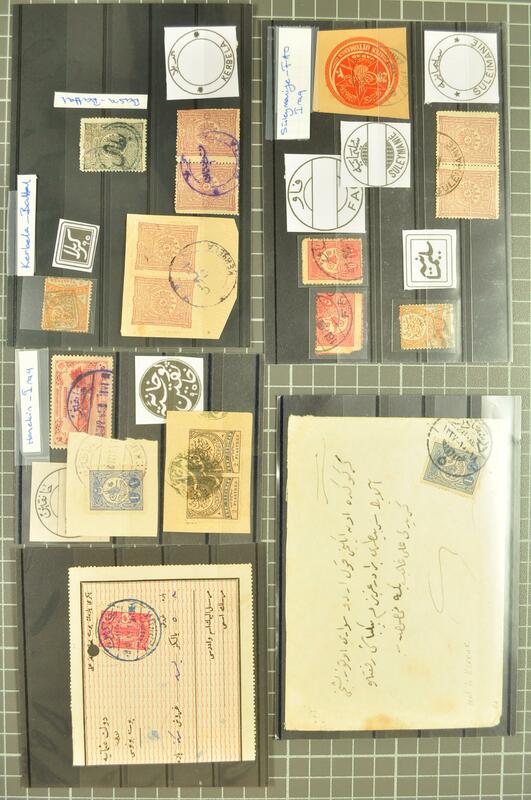 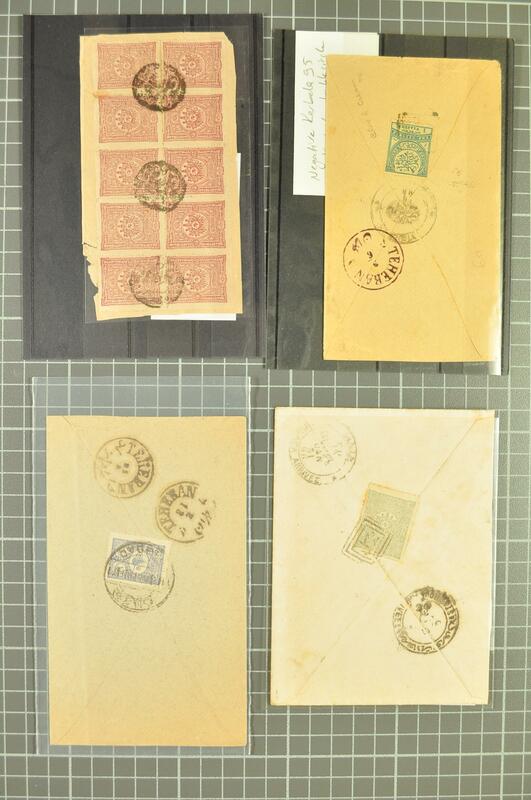 : The collection with usages of Turkey issues loose, on piece and on cover showing 1892 2 pi. 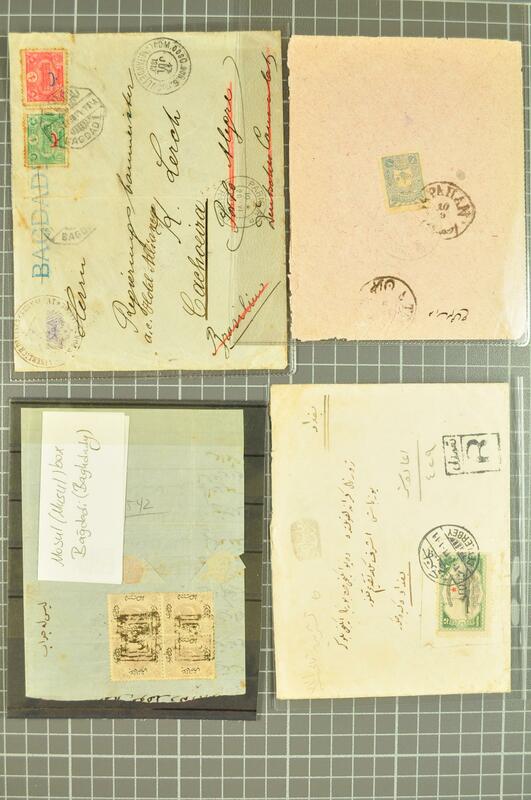 tied to piece by KUT negative seal handstamp, 1914 20 pa. pair with fine KUT-UL-AMARÉ cds in black, Duloz 20 pa. green cancelled by fine strike of framed all arabic MOSUL in black, 1892 1 pi. 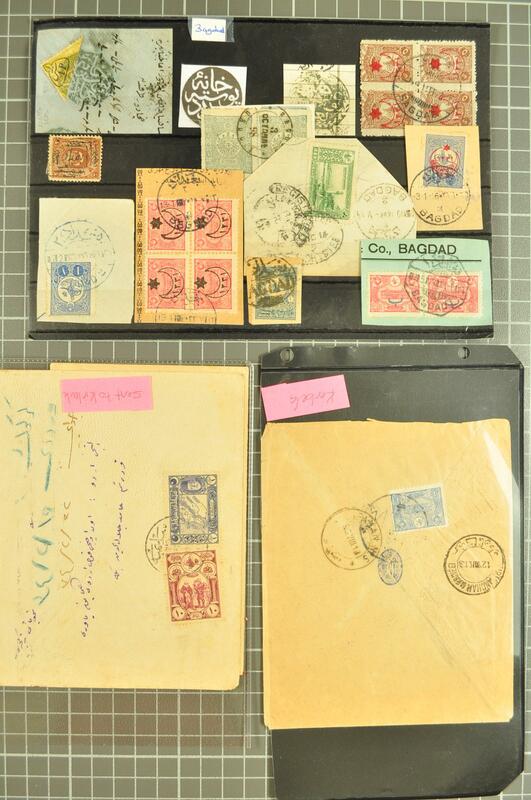 on cover tied by MOSUL handstamp, 20 pa. pair cancelled by scarce KEUY SANDJAK cds in black, further usages from Erbil, Fao, Kerbela, Kirkuk etc. 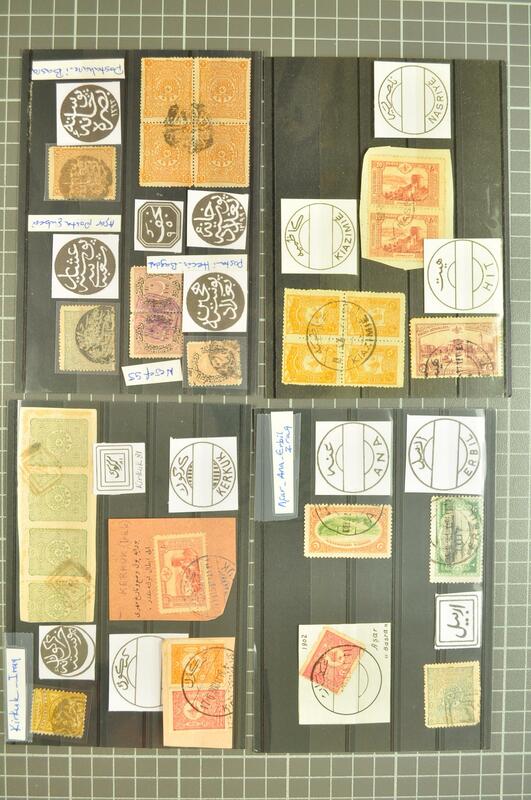 Untidy lot but many choice strikes noted (63 items).